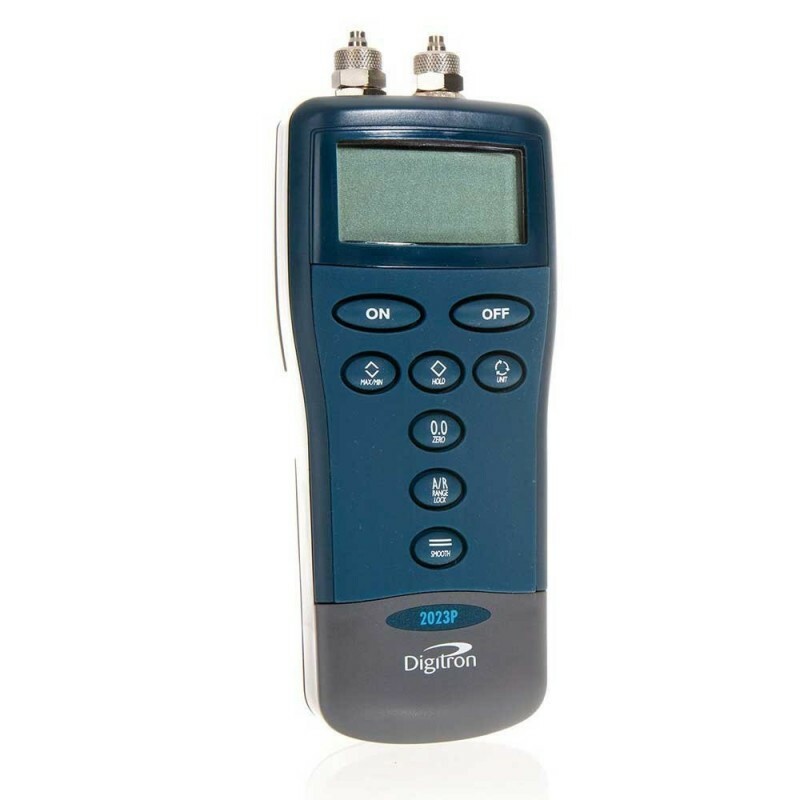 Digitron’s 2000 series of hand held digital manometers are easy to operate, reliable and built to meet the performance and cost demands of today’s industrial and HVAC professionals. 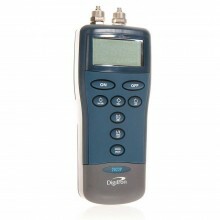 Measuring from 0-7 bar the Digitron 2023P7 digital microprocessor manometer offers many innovative functions designed to make the users job easier, saving both time and money. Combining innovative functions with high accuracy and speed of response the 2023P7 are designed to make the operator’s job simple and efficient. All 2000 series instruments are dust and waterproof as standard (IP67) and optional coloured rubber boots are available adding protection and style to these multifunctional pressure instruments. It is possible to measure negative pressure (air vacuum) by connecting to the -ve port, provided the +ve port is vented. The value shown will be +ve. Display: 12.7mm / 0.5" custom L.C.D. Overrange/Underrange: 'Out' shows on display. Auto Switch-Off Time: 12 minutes. Operating Temperature: 0°C to +50°C/+14°F to 122°F (ambient). Battery Type: Two AA or equivalent cells (not supplied). Battery Life: Typically 200 hours. Low Battery Check: Symbol appears on display. Environmental Specifications: IP67 (as std) with hose connected. Dimensions: 155 x 67 x 40mm/6.1 x 2.6 x 1.6”. Includes: 2023P7 manometer and operating instructions. Optional coloured rubber boots are available.